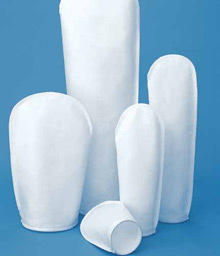 Bag Filters are typically constructed from porous woven or felted fabric. 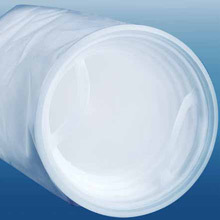 Contaminants larger than the porous openings within the bag filter allow the water to pass through, while trapping the larger contaminant particles. We provide a full line of bag filter housings and bag filter media, including single, multi-bag, metal and plastic housing. SNAP RING Filter bags are an industry standard and with over 500 different bag sizes and types, manufactured using seven different materials you can be assured no matter what vessel (housing) you have there is a Snap Ring Filter bag available that will fit perfectly. Features heavy duty sewn construction and are easy to install with a positive seal. 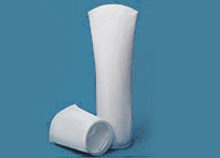 High Performance DURAGAF filter bags represent the state-of-the-art in needled felt bag filter media. Their unique structure delivers equal filtration performance with lifetimes 2-5 times longer than ordinary felt media. The result is reduced operating costs due to lower bag consumption, downtime, change-out labor, storage and disposal. Available in two extended life materials: polypropylene (code POXL) or polyester (code PEXL). LOFCLEAR filter bags now make absolute filtration viable in many applications where only standard bags could be used due to cost constraints. Made from 100% pure polypropylene materials compliant with food requirements, LOFCLEAR filter bags contain no leachables or lubricants such as silicone oils. In addition, their excellent oil adsorbancy makes LOFCLEAR filter bags ideally suited to the oil removal needs of the paint and coatings industries. 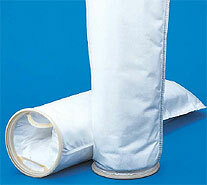 LOFCLEAR filter bags have proven to be highly effective in the removal of gelatinous contaminants. The combination of deep microfiber filtration media breaks up gels and retains them within the media depth. These features prevent surface blockage and breakthrough typical of standard filter bag materials. ACCUGAF™ Filter Bags for applications demanding Efficiency >99% The ACCUGAF filter bag pushes the boundaries of bag filtration technology far beyond traditional designs. With efficiencies >99%, each ACCUGAF model provides cost-effective filtration solutions for demanding applications. The five models assure users that particles from the range of 1.25 microns can be removed effectively while delivering long service life. 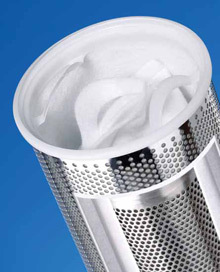 High-performance alternative to applications requiring absolute filtration. PROGAF filter bags’ progressive density depth filtration delivers high efficiency (up to 99.98%) and long life with all the convenient features of a bag filter. In comparison with other filtration technologies, PROGAF filter bags deliver lower operating costs while retaining the ease of change-out typical of a bag filter. Combining the best of both filter bag and cartridge filters into one single filtration element for outstanding filtration performance. Because the surface area of a HAYFLOW Filter Element is up to 70% greater than a similarly size filter bag, existing systems that use it will experience longer filter element life and less changing, resulting in reduced operation costs. With HAYFLOW, designers of new bag filtration systems can opt for reduced operating costs or, because of the high flow rates possible with HAYFLOW, reduce the size of the filter vessel by up to 50% and lower the initial cost of the system. Standard, double length, 02 size filter vessels can be easily retrofitted to use the HAYFLOW Element with the installation of a special restrainer basket. No tools or modifications to the vessel are required.